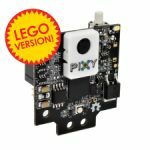 Pixy2 for Lego Mindstorms EV3 is currently available from Robotshop and Amazon.com. More distributors will be added soon! Below: Pixy2 availability is marked with bold type. If you don’t see your country above, you can order Pixy2 through eBay.